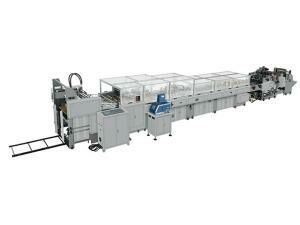 LO700CS-430 sheet-feeding paper bag making machine is suitable for the mass bag production. It is the first choice for making medium and top grade handbags. The product adopts mechanical, electricity, light, gas integration technology, setting a number of its proprietary technology. 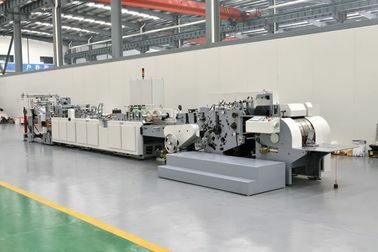 Taking the creased sheet paper as raw material, this machine can one-time finish:paper feeding, positioning, top folding,tube forming, gusset forming, square bottom folding and gluing automatically, and then compaction output.Using the PLC programmable control, frequency control technology to realize the integral multi-dimeThe variable speed drive technology, combined with the system of vertical and horizontal creasing, bottom folding, this machine realizes trackless bag molding process. nsional control, more centralized control and single point remote control operating system . with characteristics of good quality and high efficiency,its technology ranks leading level in domestic similar products. 1. We are the famous science and technology professional enterprise specialized in researching, developing, manufacturing and selling of Bag Making Machines, Paper Bag Making Machine, Film Blowing Machine, Side Weld Bag Making Machine, Paper Slitting Machine, Non Woven Bag Making Machine, Side Sealing Bag Making Machine, Flexographic Printing Machine, Gravure Printing Machine, Paper Cup Making Machine, Tissue Paper Making Machine, Automatic Bag Making Machine, Carry Bag Making Machine, with best quality control, best service . 2. 100% QC inspection and debugging Before Shipment. 3. 100% rest assured after-sales service. 4. 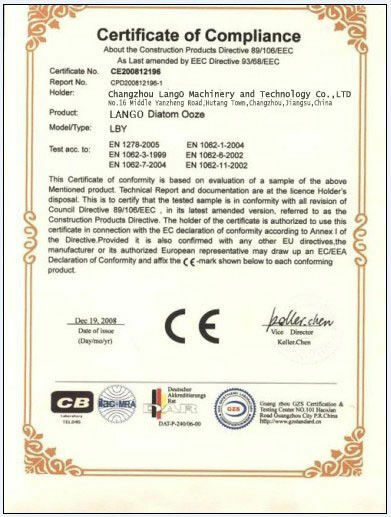 Our technical team give you 100% rest assured global presence service even over the warranty period.